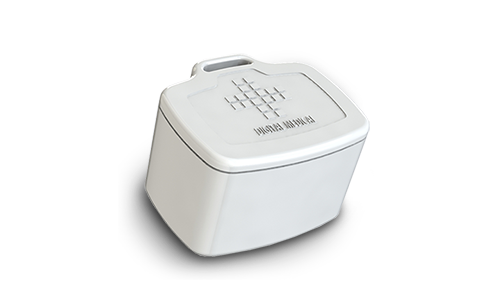 A single solution for managing & tracking surgical equipment. 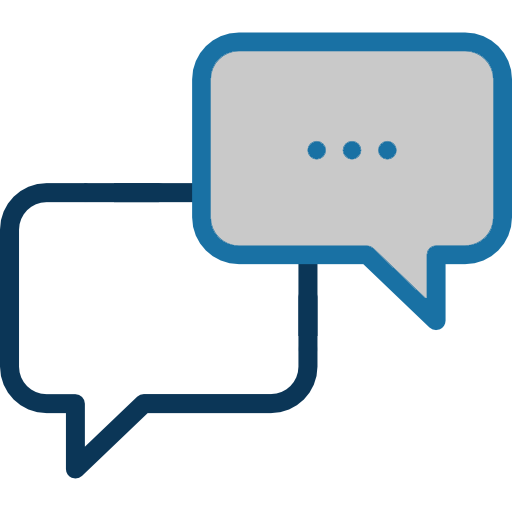 CompleteOR™ is changing the way healthcare organizations manage surgeries. 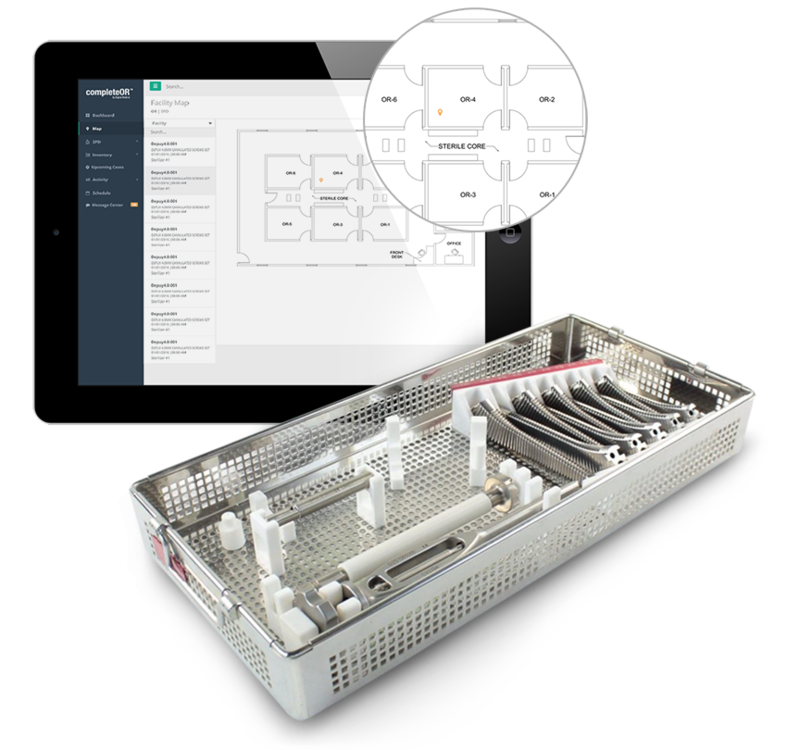 CompleteOR™ provides a single source platform enabling handsfree tracking of owned and loaned surgical trays and assets, offers new levels of transparency in vendor communication and case scheduling, thus improving operating efficiency and equipment utilization.purchases that can be worth millions annually. 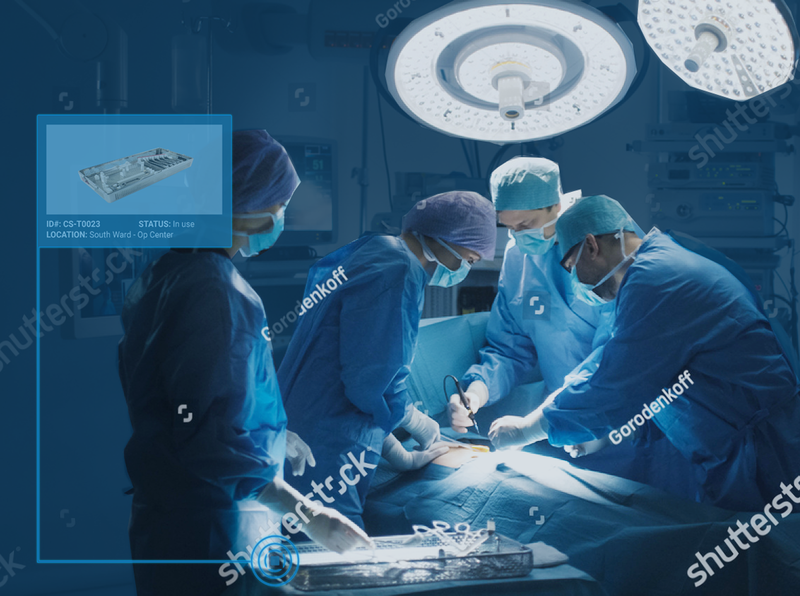 Manage alerts and notifications for surgical cases. 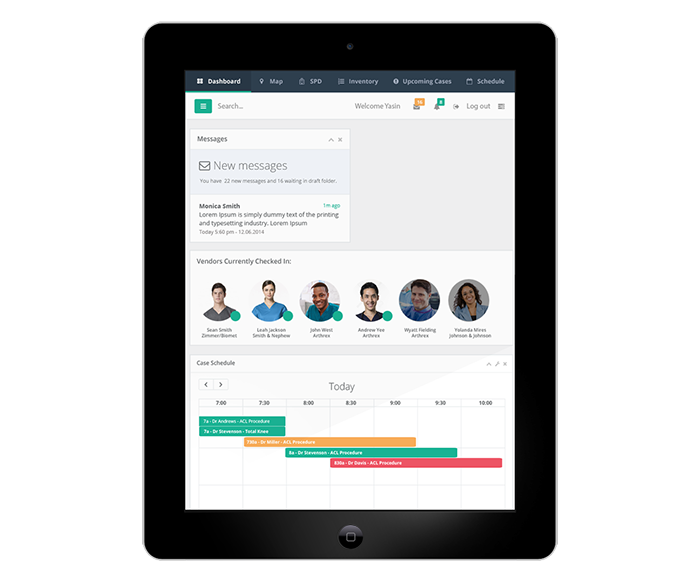 Send messages to staff and vendors for case transparency and accuracy. 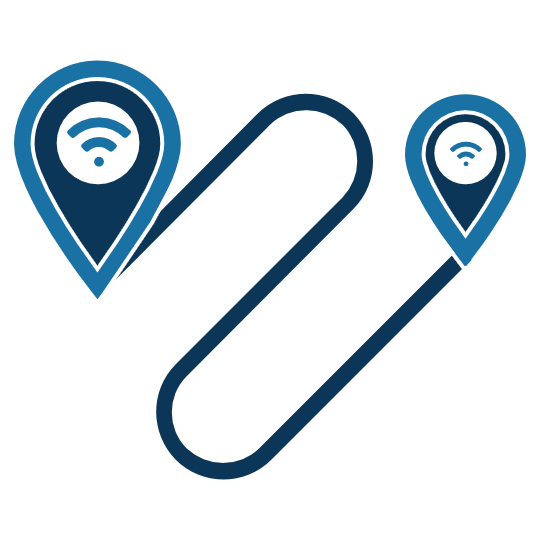 Real Time Location System (RTLS) utilizing Bluetooth Low Energy (BLE) beacons that can withstand any environment in the hospital, including the autoclave and sterile processing. SURGICAL REPS can easily track equipment prior to & during surgery . Key Feature 1 Ut enimos adu minim veniam, a quis nostrud dexercitation ullamco laboris nisiton ut aliquip ex ea commodo consequat. Key Feature 2 Duis aute irure dolor in reprehenderit dolore eu fugiat nulla pariatur. 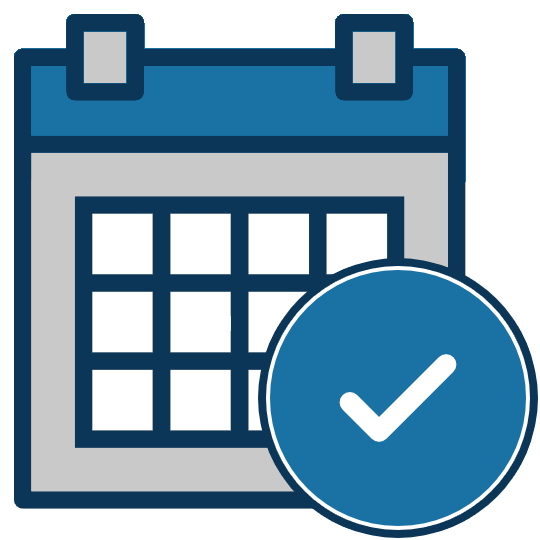 Easy Integration with your 3rd party services and EHR’ systems. Easy to use dashboard increases adoption and efficiency rates. Avoid leveraging your facility’s existing network with plug and play installation. Let us know how we can help you get started. TOUGHKube™ works in conjunction with CompleteOR™ to maximize results.